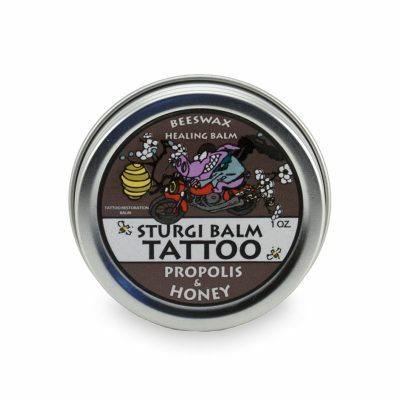 Keep your tattoos looking their very best with this all-natural bee balm of honey and propolis combined with witch hazel and beeswax. Keep your tattoos looking their best with this natural bee balm of honey and propolis combined with witch hazel and beeswax. 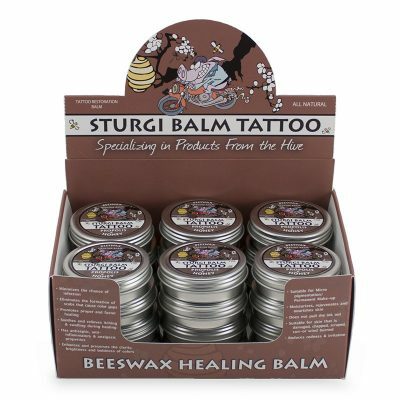 Keep your tattoos looking their best with this natural bee balm of honey and propolis combined with witch hazel and beeswax, in a convenient 1-ounce, single-use container. A shelf-ready display case of 24 1-ounce tins, perfect for tattoo artists and tattoo parlors. 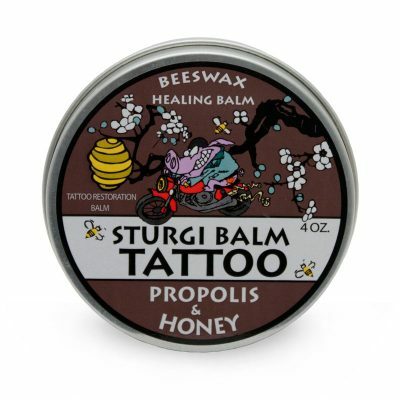 Keep your clients' tattoos looking their best with this natural bee balm of honey and propolis combined with witch hazel and beeswax, in a convenient 1-ounce, single-use container.